Styles Taught:Jazz, blues, country, rock/pop and fingerstyle. 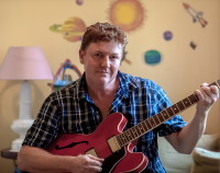 Andy has been playing guitar in various bands and duos for over 25 years and teaching for the same period of time. 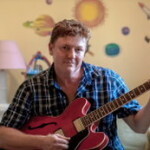 He has been teaching privately as well as tutoring in a number of music schools, including a five year residency at the Eastern Suburbs Academy of Music. His teaching method is very relaxed allowing the student to learn what they’re interested in at their own pace. He teaches 7 year old beginners up to advanced players of all ages.